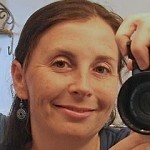 Kelly Sage lives in Bloomington, Indiana, with her husband and two small children. After teaching middle and high school English for nine years, Kelly left the classroom to focus on her family and writing, and to facilitate writing circles for Women Writing for (a) Change. She blogs regularly at Sagetribe. She is a former Columns and Ezine editor for Literary Mama.